Is it really essential to thoroughly clean manifolds and piping? We recently reconditioned a customer’s own 2 Litre Saab 9-3 Turbo engine, the engine was then returned to the customer’s garage for fitting. The engine was fitted to the vehicle and started and run in the workshop without a problem, on the subsequent road test the mechanic reported a loud rattling noise from the top end of the engine. We recovered the car from just outside London to our workshop in Doncaster. The spark plugs were removed and a quick look inside confirmed that there was damage on 2 of the pistons. 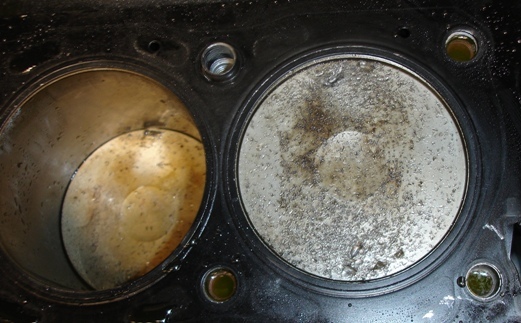 The cylinder head face had also suffered similar damage. 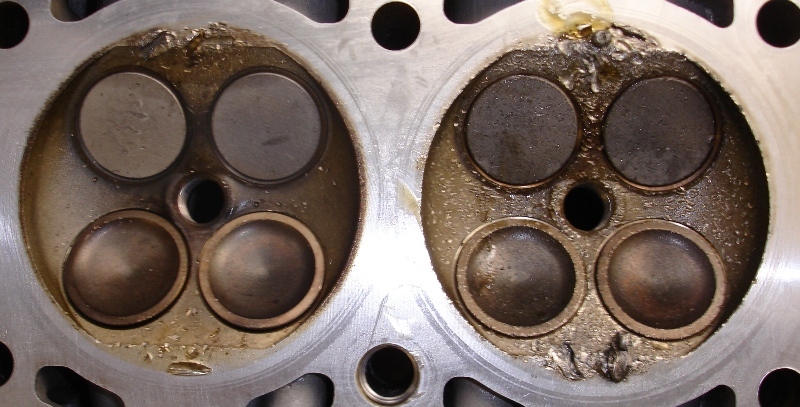 We recovered 2 small pieces of metal that were easily recognised as parts of a valve – all the valves in the cylinder head were intact meaning the debris had been ingested by the engine. All in all it was a very expensive bill to repair damage that was easily avoidable. To make it worse we actually put a large warning notice on the top of the engine before delivery stating; the original engine had suffered a catastrophic mechanical failure and the manifolds must be thoroughly cleaned before the reconditioned engine was fitted.